Network Device Interface, NewTek’s free enabling technology for live production IP workflows over Ethernet networks continues to gain momentum in the broadcast and video streaming industries. Since it became available, more than 600 companies have downloaded the NDI SDK via the NewTek Developer Network. 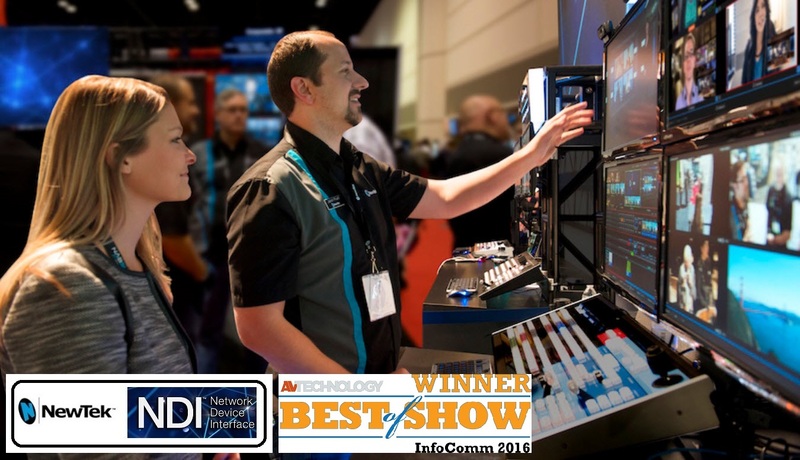 Hundreds are working with NewTek creating NDI commercial products, and many of these have released NDI-compatible products since NAB 2016. These products, in addition to NewTek products and other newly compatible devices from top manufacturers and developers already using NewTek’s previous technology allowing IP connectivity, have put NDI into the hands of over 1,000,000 customers worldwide, making it by far the most prolific IP-based workflow in the production market.